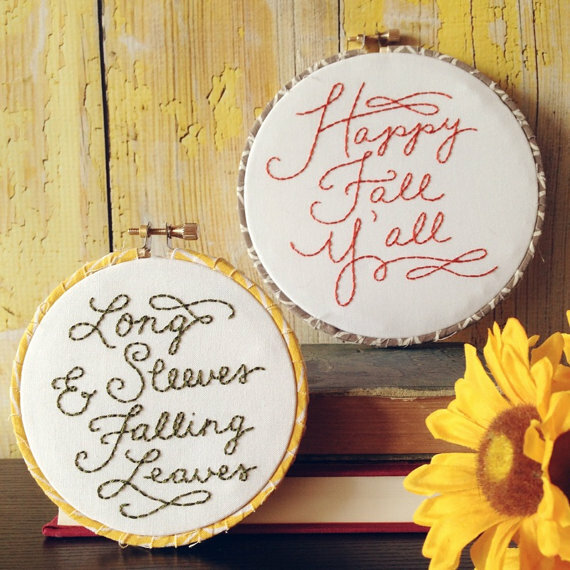 Ever since I started the official Ten Feet Off Beale Shop instagram account (@shop_tenfeetoffbeale), I've pretty much stopped sharing my embroidery stuff anywhere else. I thought that maybe I would start a little segment over here with fun shop updates and things that I'm currently working on. Over the past few weeks, it's been all about Autumn. It most definitely still feels like Summer around here, but that doesn't mean I can't urge Mother Nature to send us some Fall weather by stitching some fun Fall hoops. This time of year, I love using colors inspired by Autumnal leaves. That means, lots of oranges, yellows, and greens. 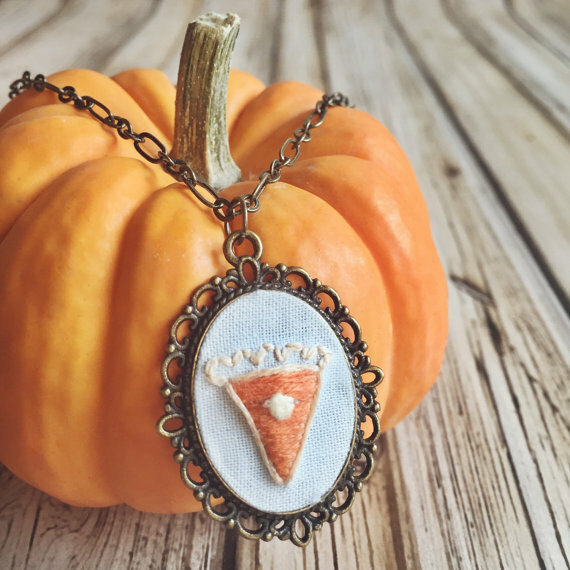 I especially love the slice of pumpkin pie necklace I stitched up!! I mean, a huge part of Autumn is all things pumpkin spice... right? You will see this around my neck most days during Fall andddd you better believe I will be wearing this on Thanksgiving. 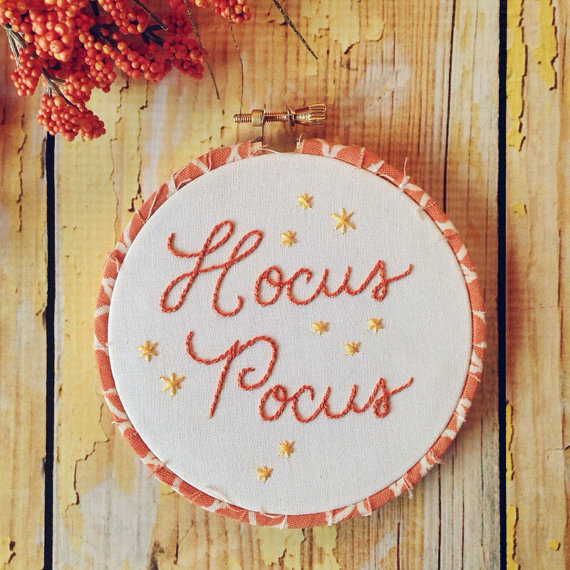 All these seasonal pieces are now posted in my shop! So, is anything else you'd like to see? I love the stitching! It's definitely something I'd like to learn one day. I'd love to see some more Christmas ones!